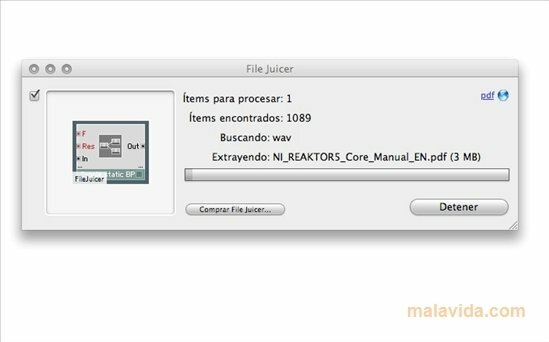 File Juicer is a program capable of analyzing almost any kind of file, with the objective of extracting the files that they contain. 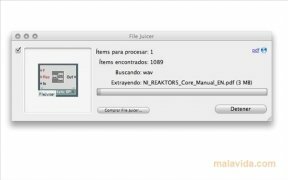 It's more than likely that on some occasion you've had the need to extract the contents from a PDF or SWF file, for example, and you didn't know the easiest and most simple mode to accomplish it, until now. 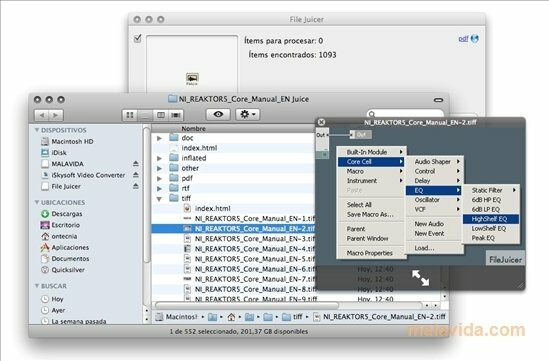 It only requires that you drag a CAB, AVI, CHM, DMG, DOC, EMLX, EXE, ITHMB, M4P, MHT, PDF, PPS, PPT, RAW, SWF, XLS or ZIP file to the interface to be able to extract JPG, GIF, PNG, PDF, WMF, TIFF, BMP, MOV, AVI, WMV, MP3, WAV, AU, AIFF, ASCII, RTF or HTML files. How the program works is rather simple, because once it has analyzed the contents of a file, it will show you the data that are part of it, allowing you to choose what you want to extract, only requiring a couple of clicks to carry out the whole process. 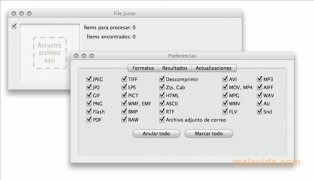 If you're looking for a simple tool that will help you to be able to have an integrated file in any document, File Juicer might just turn out to be one of the best alternatives at your reach. 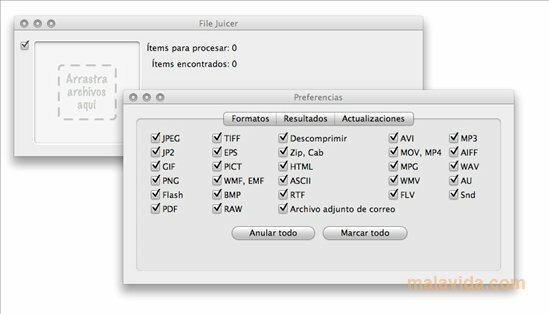 The trial version applies watermarks to the contents that you extract from the documents and extracts only half the text from PDF documents. 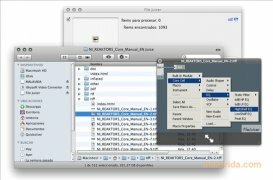 After seven days it's only possible to extract JPG and GIF files.